Are you preparing for Valentine's Day? Do you want to keep your students engaged in the Math during the day? These Middle School Math Activities and Games are NO PREP and ready to keep your sixth, seventh, and eighth graders engaged! 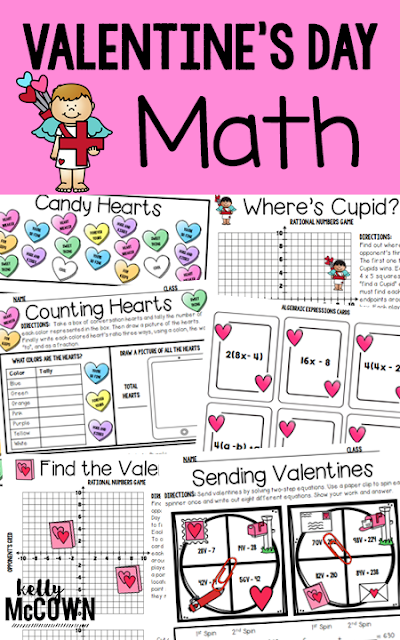 Each game focuses on different Mathematical concepts with a Valentine’s Day theme. Students can play these games with 1 to 4 Players. 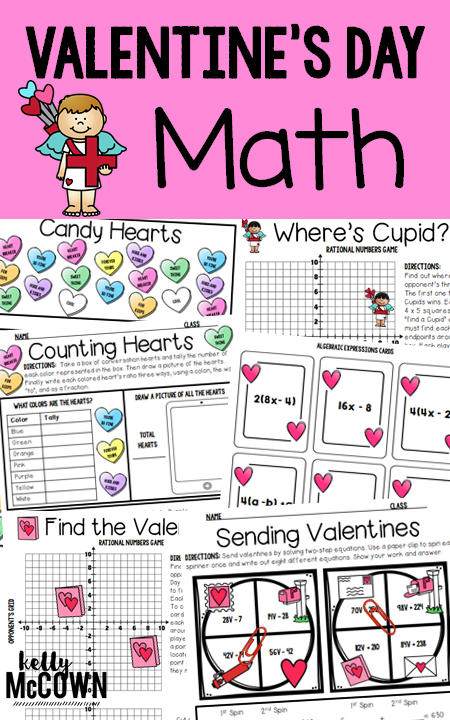 Students review Common Core State Standards and have some Valentine’s Day fun. Use these activities for bellwork, classwork, extra credit, fast finishers, or homework. 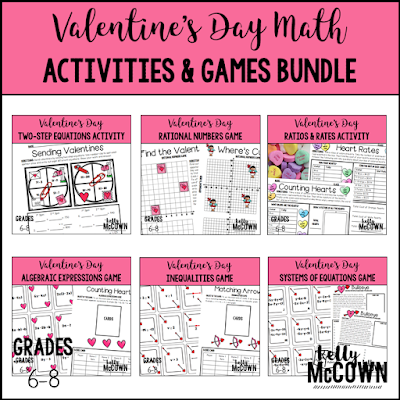 I hope these Valentine's Day activities and games help your students have fun in the classroom on their special day. 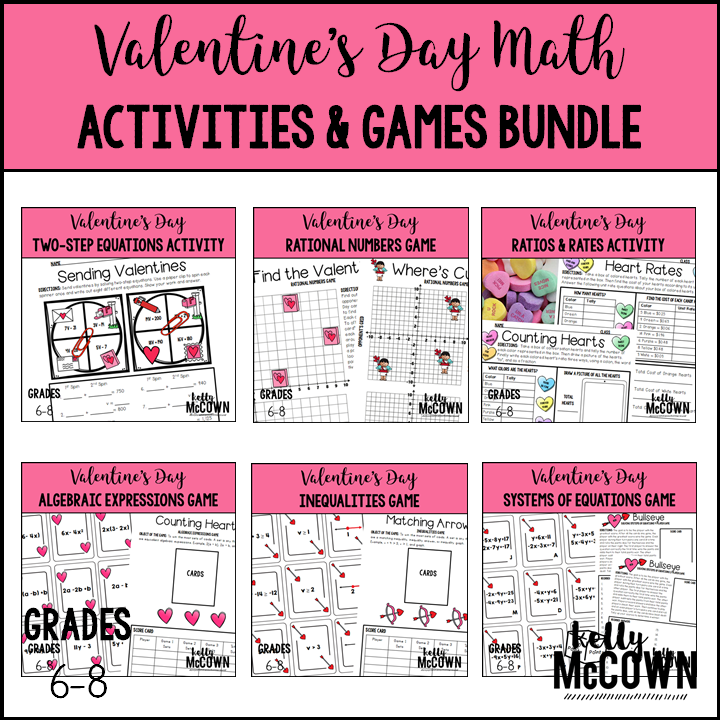 Middle Schoolers love Valentine's Day and this is a great opportunity to build student-teacher relationships with them.